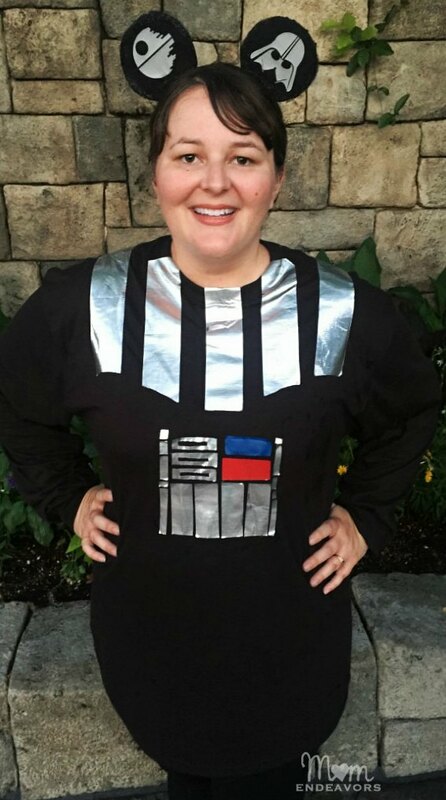 *Note: If you don’t have a cutting machine or access to one, you could always replace the black fabric with Star Wars fabric & go that route instead. 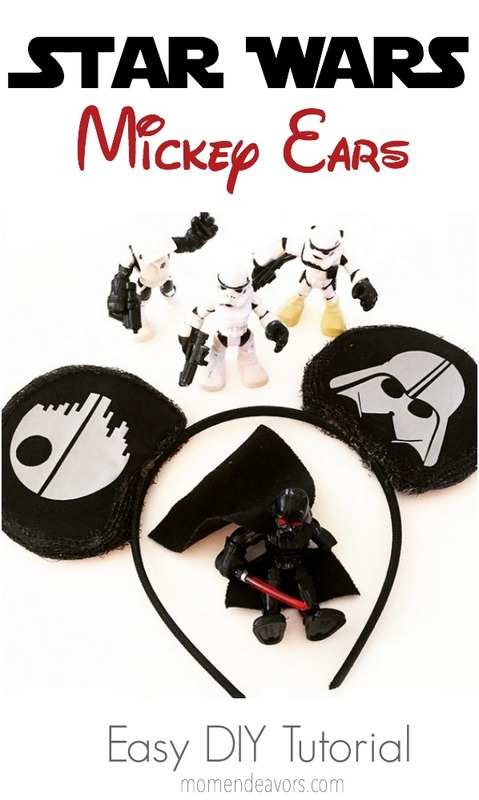 Step 1: You’ll need to print out print out the Mickey Ear Template from Disney Family. Then cut the ears out of the template. You won’t use the connecting part on the template, so just cut that off. 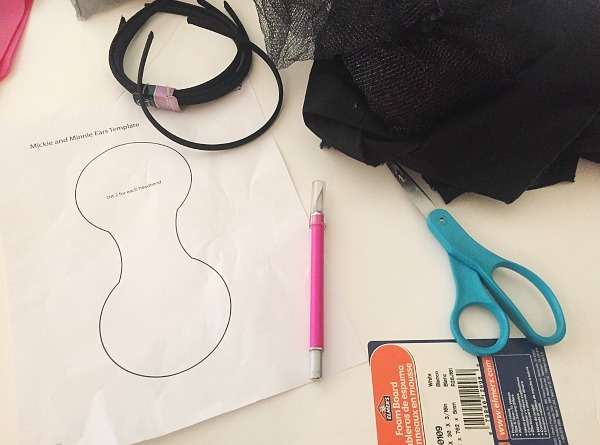 Use your headband then to help determine the shape of the curve for the bottom part of the ears . 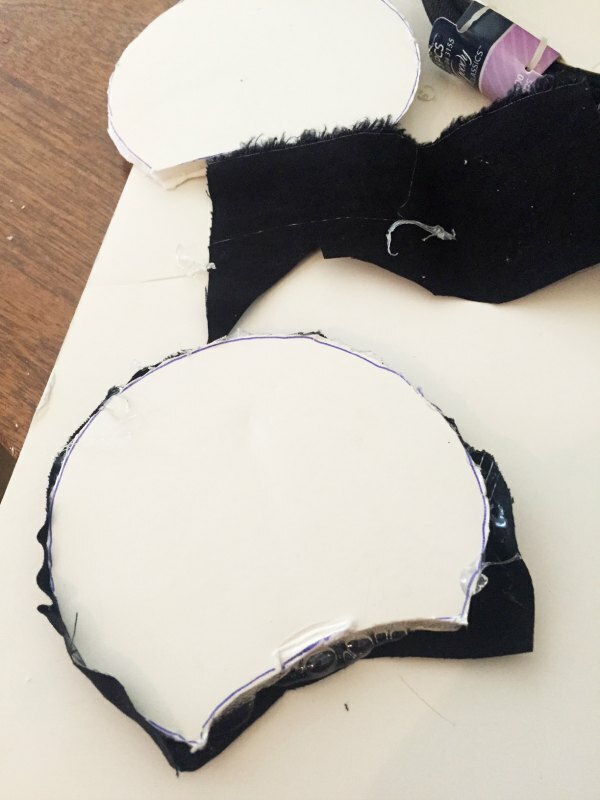 Step 2: Once your paper template is cut so the curve will hug the headband correctly, trace the template onto the foam board and cut out your two foam ears using an X-acto knife. Step 3: Trace the template onto the fabric four times and cut just slightly larger than your trace line (to overlap the edge of the foam board a bit). Step 4: Wrap each fabric piece around one side of each ear and hot glue along the foam edges. Repeat until each ear is completely covered. Then, to cover up the glue seams, hot glue black ribbon or other embellishment of your choice around the outside edge of each year (I used some cut black tulle-like ribbon). (Optional) Step 5: Embellish the ears! 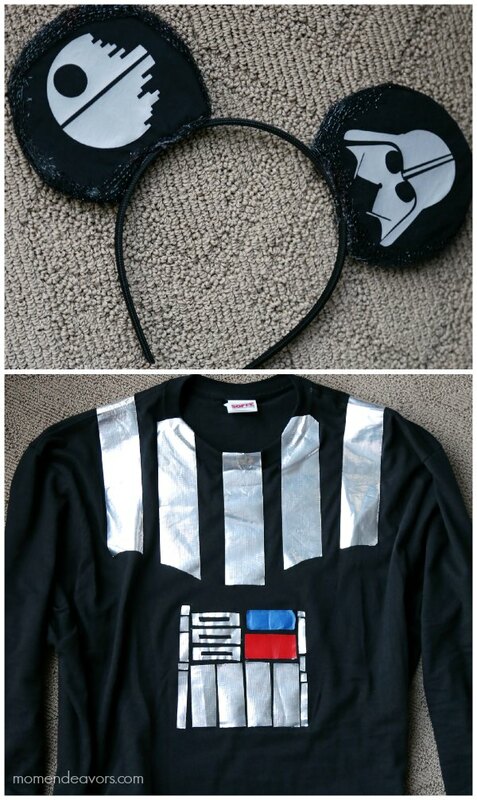 If you want ears that look like mine – dark side and all, then you’ll need to use a cutting machine that allows you to import images (like the Cricut Explore or Silhouette). 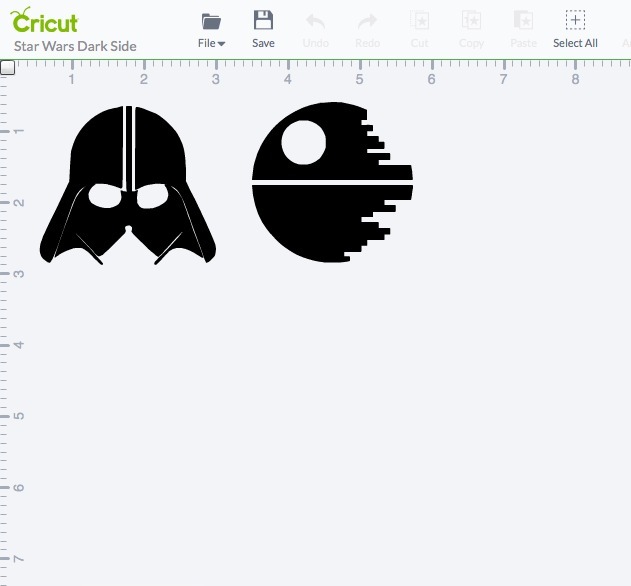 I used my Cricut Explore and uploaded two basic Star Wars images I found online (Darth Vader’s mask & the Death Star). Step 6: Cut the designs out on gray or silver heat transfer vinyl and iron them right on to the ears! That’s it! 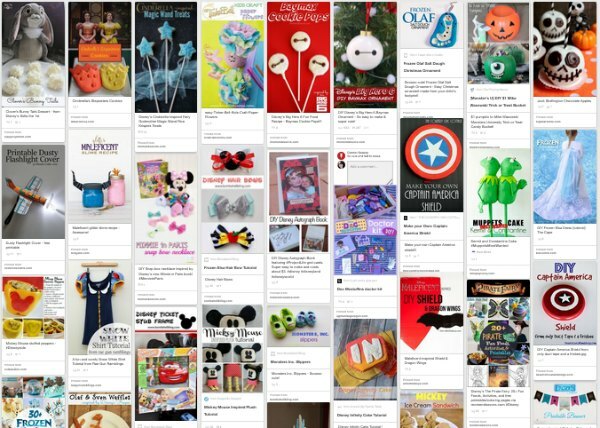 For even more Disney fun, you can check out our whole Disney category on the blog or join our Disney Crafts Pinterest Board!